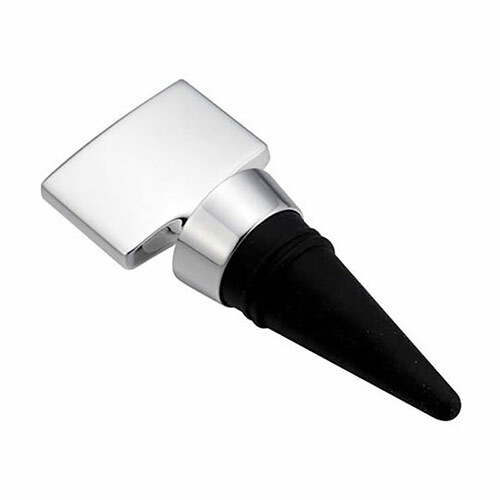 A stylish yet functional wine bottle stopper with a quality silver plated finish and featuring a flat tab top that is perfect for engraving. Create branded merchandise, corporate gifts or recognition awards by engraving your logo or message on these silver wine bottle stoppers. You can be sure that your name, event or award will be remembered every time the recipient uses their personalised wine bottle stoppers.